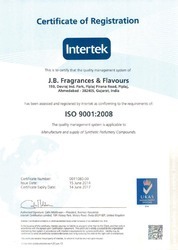 Incepted in the year 1994, J.B. Fragrances & Flavours is growing strong under the able guidance of Mr. Niraj Sheth. 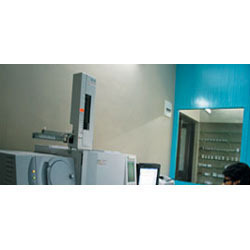 We have carved a niche for ourselves as one of the leading manufacturers and exporters of varied range of perfumery compounds and perfumery fragrances like Spray Fragrances, Air Freshener Fragrance, Incense Fragrances, Soap Fragrances, Detergent Fragrances and many more. Our creativity lies in our efforts to integrate the supply chain, from our suppliers to our clients. Our organization due to its hard work and transparent business dealings has earned associations with Gujarat Chamber of Commerce and Industry, Indo-German Chamber of Commerce, AIAMA All India Agarbatti Manufacturers' Association GAMDA Gujarat Agarbatti Manufacturers' & Dealers' Association and many other autonomous bodies. Since our inception, we have been a strong believer in ethical business conduct, transparent business dealings and qualitative range of products. • GAMDA Gujarat Agarbatti Manufacturers'''' & Dealers'''' Association. The Directors of the company play their part on committees and as members in the various institutions associated with fragrances.